Audiojack’s, Gruuv imprint returns with ‘Hugonomics’ by Italian producer Hugo, backed with remixes from the label-heads and Copy Paste Soul. 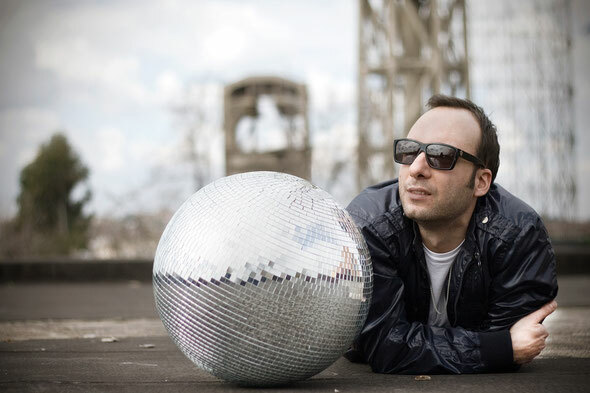 Turin born, Hugo, has built a solid reputation over the years for his infectious house and techno grooves, delivering across the board, high quality music and working with many of the leading labels in the industry such as 2020 Vision, Claque Musique, Mobilee, Kling Klong and Suara. 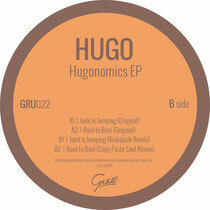 Here Hugo joins Gruuv alongside Catz ‘N Dogz, H.O.S.H, Vincenzo and Huxley. The EP kicks off with the original mix of ‘Joint Is Jumping’, its drum programming displays Hugo’s classical jazz training, with an organic, shuffling feel, layered on top of a straight 4/4 groove. The focal point of the cut sees a tight blend vocal lines create a movement of their own, while warbling bass hits and drawn out tones add a gritty touch to the record. Up next is ‘Boot Is Boot’, tipping its focus towards heady rhythms again, rock sturdy drums lead the way, while fluttering synths, heavily modulated vocals, and warm ethereal pads meander around them, resulting in an intricate dark house workout. Label founders Audiojack step up to the plate next, reshaping ‘Joint Is Jumping’, the duo maintain the sturdy groove as the foundation, but throw in emotive, hooky Rhodes melodies, a profound low-end depth and subtle filter automation to create a deep yet energetic interpretation. Lastly to close the EP, fledgling London based producer, Copy Paste Soul, reworks ‘Boot To Boot’, stamping his raw, machine like mark on the original. The mix is full of warm grit with crunchy claps, ever-evolving elements and deep penetrating bass.